People from around the world are moving from rural areas to major city centers. This rapid urbanization, largely occurring in developing nations, presents challenges for municipal governments around the world. Resources will become strained. Healthcare won’t be able to keep up. Energy demands will outpace current capacity. Where will everyone work? How can governments facilitate an environment that’s conducive to economic growth? In short: how will these future megacities support massive increases in population? By leveraging advances in technology, such as blockchain, and smart urban planning, we can increase the carrying capacity of our cities. Blockchain projects like Waltonchain, IOTA, and Power Ledger are building solutions power the Smart City Revolution. Specific details below. The first macro trend supporting the need for “smarter cities” is the rise of urbanization around the globe. Although it might not seem like it, moving from rural areas to cities brings with it a massive increase in quality of life. Cities provide economic opportunities, better education, and dramatically better opportunities for women. Currently, more than half of the world’s population live in urban areas, and more than 1.5 million people join the global urban population every week. The rise of urbanization will not be equally dispersed. In fact, in many western cities, we may actually see a decline in urbanization due to increases in telecommuting and “the end of jobs” as we know it. Roughly 90% of the projected urban population growth will take place in African and Asian countries, according to data from The World Bank. Sharp increases in urban populations puts a massive strain on resources such as infrastructure, energy, food, transportation, and jobs. Not to mention huge increases in pollution. How will these future megacities provide livable conditions and economic opportunities during such a transition? The great urban migration requires nations to make their cities “smarter” by leveraging the technological breakthrough, employing concepts such as Internet of Things (IoT) and blockchain technology. The second macro trend supporting the “smart city movement” is the ability to leverage new technology. In order to increase the carrying capacity of future megacities, urban planners and nation states will need to invest heavily in technology. Thankfully, we’re seeing breakthroughs that will be put towards making these megacities sustainable, such as Internet of Things (IoT), mobile communications, artificial intelligence, transportation management, green energy, and blockchain technology. By leveraging advanced technology we have the potential to increase urban efficiency, promote economic growth, and increase quality of life for inhabitants. Partially by necessity (rise of urbanization) and partially by opportunity (advancements in technology) we are seeing the beginnings of the Smart City Revolution. With the rise of urbanization, cities around the world are faced with increased pressure to support growing populations. Cities face strained resources, shortage of power, insufficient water supplies, poor government services, unaffordable cost of living, inadequate public transportation, frequent traffic jams, pollution, depleting natural resources, among other things. “Smart cities” are a framework for addressing the unique challenges of urbanization by combining new technology, advanced urban planning, energy and transportation management, and business planning. By 2020 the number of smart cities will reach 600 worldwide, and 5 years later almost 60 percent of the world’s GDP will be produced in them. Digital technologies could become the engine of economic progress, and blockchain, without a doubt, could be one of them. India recently launched its Smart Cities Mission with the aim of developing 100 smart cities. Projects include affordable housing, integrated multi-modal transport, creation and preservation of open spaces, and waste and traffic management. The Indian government acknowledges that many smart-city initiatives will be implemented on a blockchain for enhanced security, immutability, resilience, and transparency. By 2025, more than 1 billion Chinese people will live in urban settings. The Chinese government has been proactive and plans to create hundreds of smart cities to support urbanization. Estonia has been using distributed ledger technology since 2012 in areas such as healthcare, judicial/legislative services, personal data, ID management, and more. Dubai’s created a Smart City Initiative, part of which aims to turn Dubai into the first blockchain-powered city by 2020. Dubai will apply blockchain to city-wide logistics and storage industries, as well as shift to a 100% paperless government and storage system. One promising new technology supporting the Smart City Revolution is blockchain and other distributed ledger technologies. These technologies can be used to make cities more efficient, transparent, secure, and more resilient. Smart Payments – Facilitate all municipal payments on a blockchain based solution, including: city programs, assistance, welfare, payroll, etc. Identity – Latest Decentralised Identity Management systems use blockchain to provide a secure mechanism for storing and validating user identities, thereby reducing identity thefts and related frauds. Transportation Management – Use of blockchain to remove the rent-seekers in the ridesharing economy (Uber, etc.). This enables a truly p2p platform for transportation. Smart Energy – Create a more resilient power grid by using a blockchain powered p2p energy market. This removes sent seeking middle men and allows individuals to create, buy, sell, and trade energy while retaining value. Government Services – Smart contracts can be used for digitising citizen rights and identification, transparent voting, tax, track ownership of assets, remove paper, and automate bureaucratic processes. Waste management – Improve efficiencies surrounded the entire waste management process by using IoT sensors and AI prediction modeling. Blockchain technology can increase the carrying capacity for cities around the world. In other words, smart cities will be able to sustain larger populations of productive people contributing to the success of the human race. 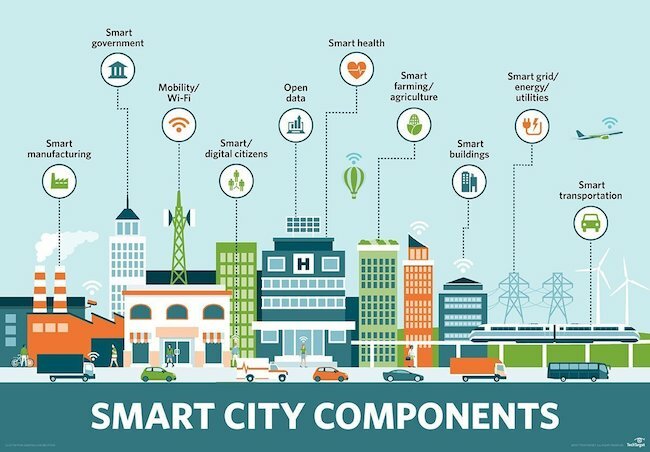 Smart city initiatives involving blockchain include: smart waste management, decreased pollution, improved transportation, increased business productivity, peer-to-peer (P2P) green energy networking, decentralized identity management, and improved government efficiency. Let’s take a look at a few projects supporting the smart city revolution by leveraging blockchain and similar technologies. IOTA combines Internet of Things (IoT) with Distributed Ledger Technology to power the machine to machine (M2M) economy. In other words, they’ll put microchips in everything, allowing machines to communicate with each other. Think “ownerless taxis” that drive people around, pay the solar charging staging directly, and get repairs all on their own. 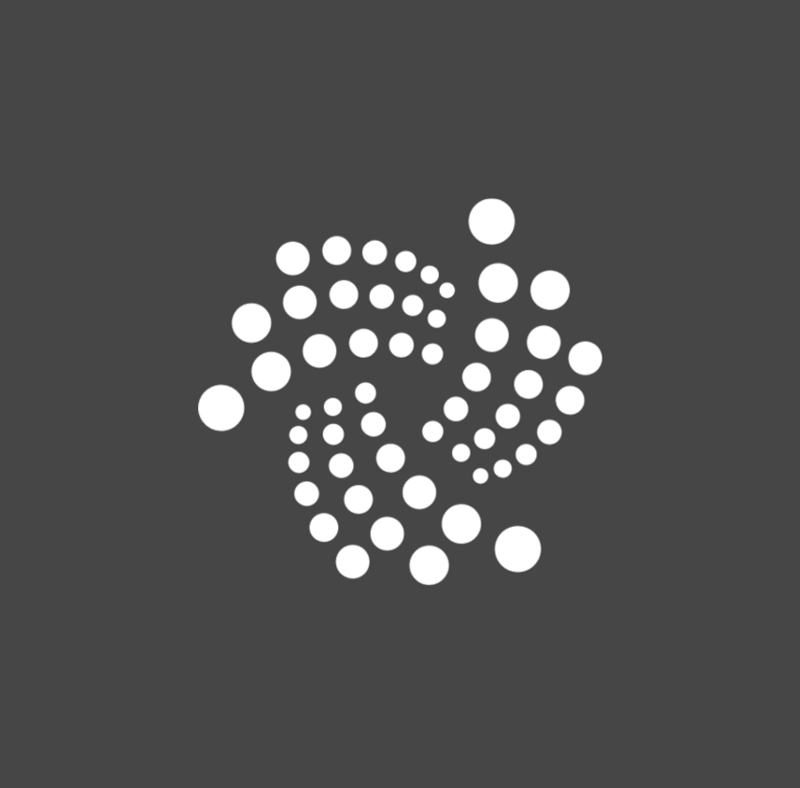 Instead of a blockchain, the IOTA network is powered by a Directed Acyclic Graph (DAG) called the Tangle. Essentially, transactions are verified by referencing 2 prior random transactions. DAGs, like the one implemented by IOTA, boast extremely high throughput, which would be required to connect all devices on the planet. IOTA partnered with Taiwan to become among the first blockchain-based smart cities. In Taiwan, IOTA is creating an ID-management system called TangleID. This project was designed to decrease identity theft, minimize voter fraud, distribute medical records, access social security, etc. IOTA recently announced a pilot project helping 5 cities in the EU becomes “energy positive.” In other words, these cities are attempting to produce more energy than they consume. Waltonchain is a heavyweight in the Smart City Revolution, and is projected by many to be a top 10 project by 2020. Waltonchain is both a hardware (microchips) and software (blockchain) project offering a wide range of solutions perfect for powering a smart city. The Waltonchain network is engineered for parallel side-chains, which allows for many siloed enterprises to interact on the same network while maintaining the high throughput required to support IoT initiatives. In terms of smart cities, Waltonchain has announced several projects in both China and Korea, including: smart sanitation, smart resource optimization, maritime port management, and more. Waltonchain plans to expand globally in 2018. China is sponsoring the creation of 500 smart cities to support the rapid urbanization they’re forecasting, and Waltonchain is right in the middle of this massive initiative. In fact, Citilink Technology (a Walton subsidiary) created an award-winning Smart Waste Management System being run on top of Waltonchain. The system proposed fully realizes the ‘four modernizations’ of waste management: precise waste level supervision, real-time disposal, full management mapping and system integration. It includes independent patented technology such as sanitation smart watches for staff, smart trash cans, ultra-low power multi-channel detection devices, and other advanced technology and equipment for all levels of environmental waste management. Equipped with corresponding sensing equipment, intelligent terminals and systems, we are able to connect people, things, and most importantly data, to greatly enhance the management and operational efficiency of the waste industry. Meanwhile, Waltonchain has partnered with Alibaba Cloud (Aliyun) to implement smart cities in China, with a focus on Xiong’an and Yuhang. Alibaba is contributing cloud computing and artificial intelligence while Waltonchain is adding IoT and blockchain technology to support the Smart City Revolution. Applications initiatives include smart resource allocation optimization, urban management, and business ecosystem redesign. Decentralized power production and consumption offers tremendous efficiencies as well as makes future cities more resilient. Perth-based company Power Ledger is a blockchain-based decentralized energy market provider with several smart city pilot projects live around the world. Here are a few examples. In November 2017, the Australian government announced they will be providing funding for a smart city project in Fremantle, Australia. Power Ledger will be trialing the use of blockchain-based distributed energy and water systems. Specifically, Power Ledger will be the transactional layer for renewable assets (energy and water), and will provide the tech foundation for community-owned battery farms. This allows citizens and private enterprises to produce their own energy (solar panels, etc.) and sell it on a public marketplace in exchange for POWR tokens which can then be used to purchase water or be traded for fiat. Power Ledger will create digital records of Low Carbon Fuel Standard (LCFS) transactions being used in the electric car market. Essentially, Power Ledger will track the energy production, storage, and usage on the blockchain in one of California’s largest public electric vehicle charging facilities. Power Ledger’s goal is to both cut costs and reduce carbon usage. Power Ledger is also partnering with Japan’s second-largest electrical utility, Kansai Electric Power Co (KEPCO). The program is piloting a system to allow consumers to produce and sell their own renewable energy P2P on the blockchain. The economies of the future will largely depend on securely transferring digital assets between individuals, corporations, and governments. In order to accomplish this, individuals need access to secure and efficient digital identity programs. Blockchain technology is a perfect solution for creating digital identities and self-sovereign identities. High security – Centralized systems will never be fully safe, and they entail a much higher risk of being hacked. Blockchain minimizes the risk of data breach. Maintain personal privacy – Instead of our own data being used against us, individuals can voluntarily share personal information based on preferences. 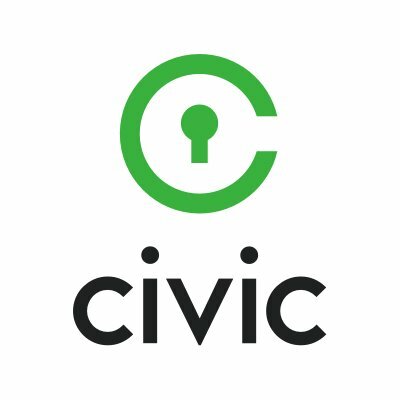 Civic is a leading blockchain-based project offering a number of solutions centered around digital identities, including reusable KYC, ID Theft Protection, and a Secure Identity Platform (SIP). Secure Identity Platform allows individuals own create a digital identity that will be stored on a distributed ledger built with a blockchain. This enables users to digitally authenticate that it’s actually YOU who is making the transaction – think applying for a loan online, verifying a document, making accredited investor checks, voting, viewing medical records, verifying social profiles, or purchasing cryptocurrencies through an online exchange. 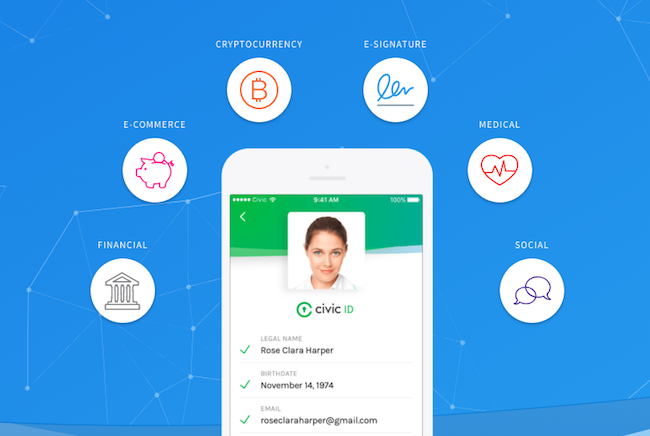 Civic offers a solution that increases users’ security and convenience when they have to confirm their identities in order to satisfy Know Your Customer (KYC) requirements. Create one KYC profile and you can then easily verify your identity for a wide range of services. Urbanization is sweeping across developing countries. In order to support these growing populations, future megacities are being forced to reimagine their infrastructure. These “smart cities” will be powered by blockchain technology and other distributed ledger technology. Will we all be driving around in flying Jetson’s cars, living in a virtual reality called OASIS, and consuming Huxley’s soma? I have no idea. One thing is for sure, the cities of the future will look nothing like today. 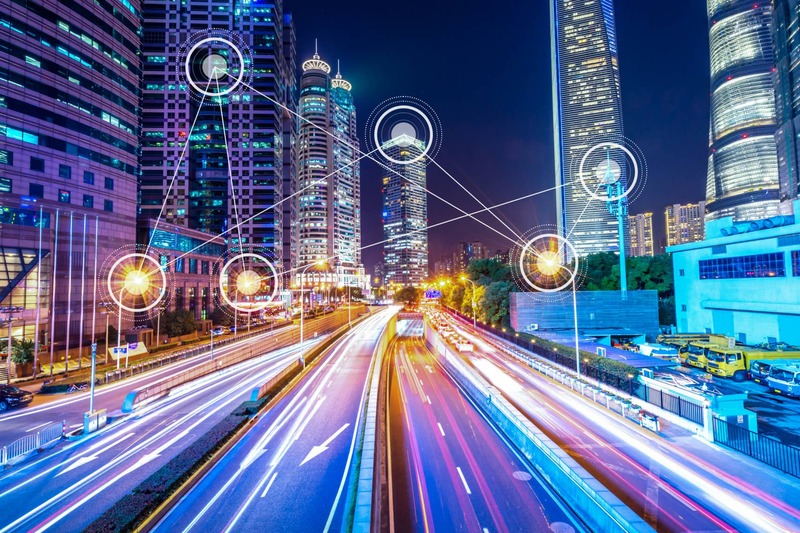 Note: This article relied heavily on the extensive research and analysis provided by two reports: McKinsey’s Smart Cities: Digital Solutions for a More Livable Future and PWC’s Blockchain: The Next Innovation to Make our Cities Smarter. You can’t build smart cities without the support of the government. Waltonchain does have government-level partnerships as well and is also working with Alibaba Cloud to implement their smart city solutions. Vechain has a partnership with a one-party dictatorship that is obsessed with absolute control. I guess we’ll be seeing a Vechain copy, Chinese Communist Party approved version. So will Waltonchain. Great article, neatly demonstrates the potential these projects have in the real world. Interesting article. I agree that Blockchain technology can increase the carrying capacity for cities around the world.